The Block Party is back for 2017, and it’s artier than ever! Click here to get tickets or here to register your interest on Facebook. 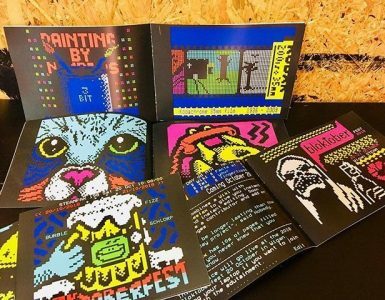 See how teletext artists like Steve Horsley, Dan Farrimond and Raquel Meyers work and learn how to make your own pixel art and teletext designs in friendly and informal workshops. 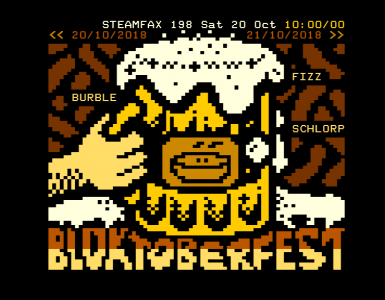 See your work on a real teletext TV with the Teefax adaptor! 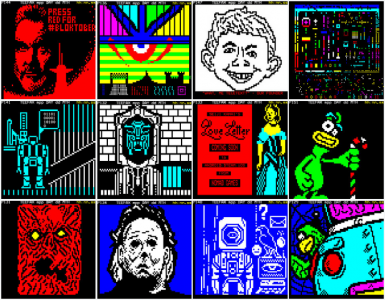 Join in with groups making a teletext exquisite corpse or adventure game on a teletext TV. The BBC Micro Computer created by Acorn in 1981 featured a teletext display mode aka MODE 7. 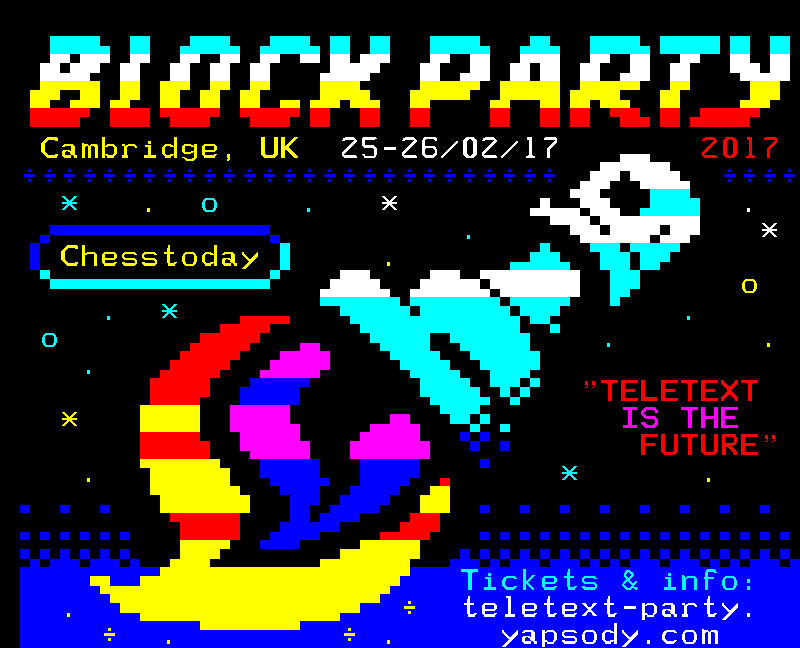 We’ll be hacking the BBC Micro to do cool things like animation beyond what’s possible with broadcast teletext. Teletext public broadcasts became an important form of early digital culture in Britain. Many of these original documents have been lost but frames can be recovered from VHS tapes! 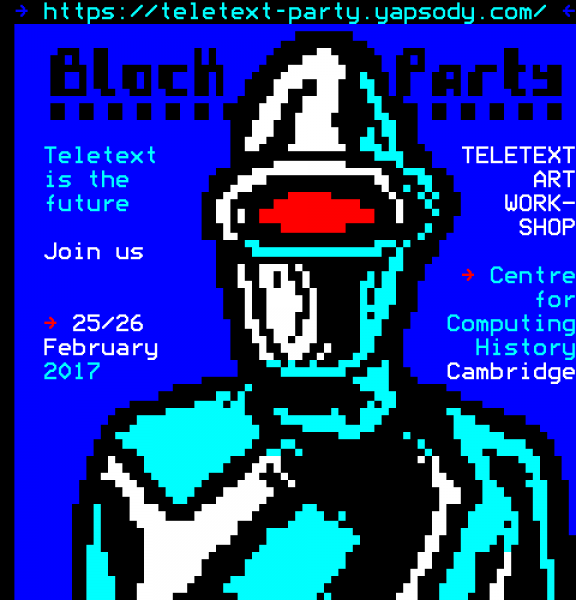 Learn about how this is possible and we can think of teletext frames as historical artefacts. Take part in or watch competitions, including head-to-head challenges between teletext artists, a challenge between the north and the south, voting for the best frames made at the event. 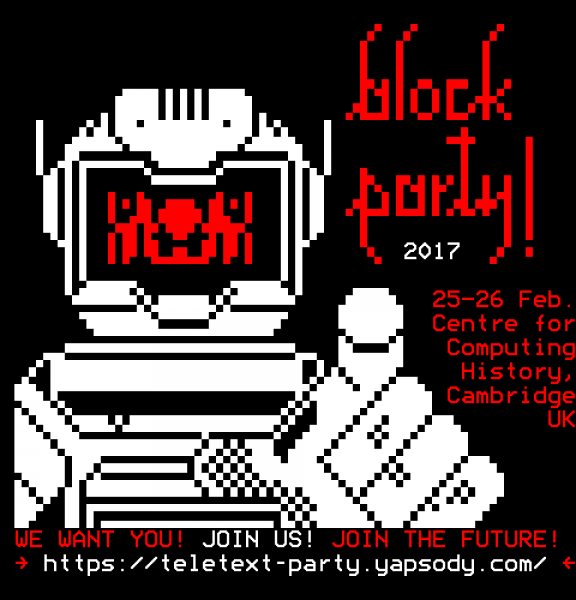 If you’d like to attend the Cambridge event, you should reserve your place by registering for a ticket. Tickets are free of charge, but you will need to pay the daily entry fee to the excellent museum (adults: £8, children: £6, students/carers/over 60s: £7, under 5s: free, families: £24). Numbers are limited, so register soon!